Kendra Sharp receiving a shield presented by Prof. M. Bilal Khan during her visit to the new Centre for Energy Systems at the National University of Science and Technology in Islamabad. Posted in Faculty and Staff, Making a Difference, Outreach, Research, Students. Posted in Faculty and Staff, Research. 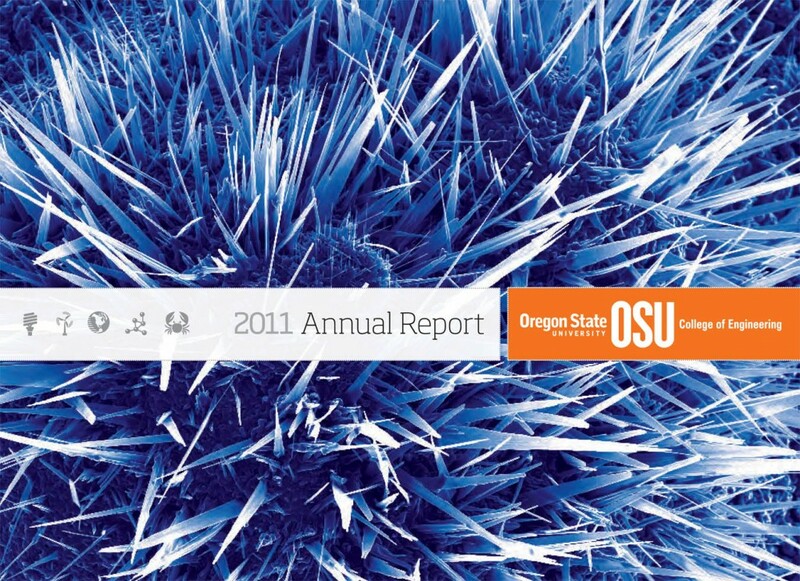 I am pleased to share with you the OSU College of Engineering’s 2011 Annual Report, which you can read by visiting engineering.oregonstate.edu/2011annualreport or clicking on the image below. I hope the stories of our exceptional people inform you of the good work we do and inspire a sense of commitment to your College of Engineering. As always, we appreciate your support. Posted in Alumni, Departments and Programs, Donors and Friends, Faculty and Staff, Industry, Outreach. Posted in Faculty and Staff. Christopher Hoyle, assistant professor of mechanical engineering design and mechanics, was designated an Arthur E. Hitsman Scholar. This three-year appointment, established in 2009 by Ellie Hitsman in honor of her late husband, Art (BSME ’49, MSME ’50), recognizes notable achievements of junior faculty in mechanical engineering.